Let’s make some words using hiragana! 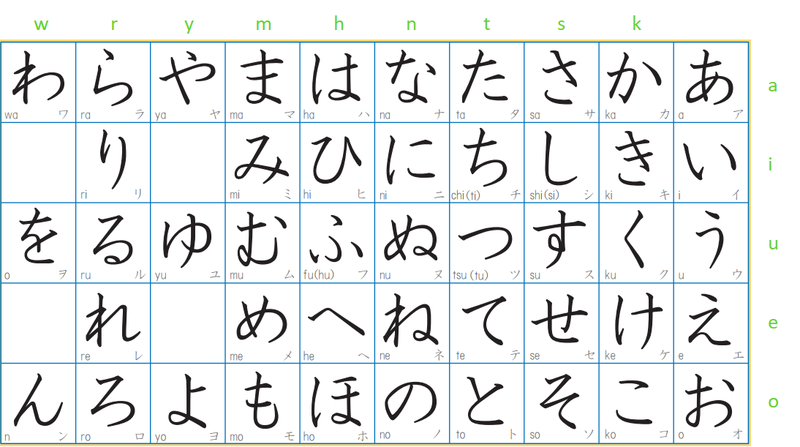 Just memorizing hiragana can be difficult, so let’s try to make some words using hiragana. Learning words with some examples will help you remember better. There are some really short Japanese words. One of the vowels, e is え (painting or picture). Keep in mind that nouns that are singular or plural might not always expressed in Japanese words. き could be one tree or many trees depending on the context. Let’s move on to words with two characters. The following words have Japanese pitch accent on the second hiragana. It means in the word うえ, you would say “u” with low pitch accent (L) and “e” with high pitch accent (H). The following words have Japanese pitch accent on the first hiragana. For the example, in the word えき, you would say “e” with high pitch accent (H) and “ki” with low pitch accent (L). ⁺ & ⁺⁺ Those two words mean something totally different depending on the accent. .
What are the hiragana for these kanji? Please answer only 1 question per user so that many of you can participate. If you have any questions or useful info for other users, please leave your comments. ありがとぅございました HelpfulDuo This is very helpful, I would like to mention I think the wrong part of ame is bolded for candy though, shouldn't the me part be highlighted? I enjoy getting to see some of the pitch accents for these words though, it is not something I often am able to find online. Thank you for the report. Ame (candy) is fixed! 足 ＝ あし ＝ foot By the way, when will the course be coming out? I like this one because it looks like a window and it's raining outside. Thanks a lot HelpfulDuo! I really like this duolingo japanese course. I started as an absolut beginner and I finished the tree today. Is 中 なか ( naka)? Hanzi and Kanji are very similar. Is there an online source that has the list of words that change meaning depending on the accented syllable? Are these the only words that change meaning, or are there tons more? If you start looking at the dialects, there're many more I'm sure. Haven't found good online sources yet. Anyone? Any suggestions? Thanks. All of this is very interesting. I'm learning Japanese from duolingo and memrise, with no prior knowledge and I had no clue about this. I've never seen anyone mention it. Years ago when I was trying to decide whether to study Chinese or Japanese first, usually the discussion was about politeness levels or about all the tons of measure words. But I've never seen this mentioned. I had not planned to learn Japanese any time soon, but got hooked in after trying this course. It helps that I have some knowledge of Chinese. Not keen on learning new readings for characters or learning more measure words, but so far it hasn't been too bad. ki is き everywhere I've seen it so far, but in your photo with all the letters the bottom part of ki is separated, why? Is that a font choice or did ki change over time? Difference between Handwriting and Typing. They are both correct. Yes, when handwriting, the bottom part of 'ki' is separated. when will the course come out?? I've been waiting for so long!!! The course is out, haven't you noticed people with the Japanese flag on their comments? If you have a phone, download the app and start it. We aren't sure when staff will write the code for doing the exercises teaching the characters on the web. Does the pitch accent exist in the audio of the Japanese course? I believe that the answer is yes, but maybe there are some errors because this is still in beta. Thanks for your guides! Just one remark: あめ meaning depends on the context (or Kanji) not on the accent. For Tokyo standard, accent is clearly define rain and candy if you hear the words. Once they are written it's obvious with Kanji. Kansai accent is a different story. Great list, I only wish it was longer. Learning simple 1, 2 or even 3 symbol words can really help beginners like me both learn the symbols and start building a Japanese vocabulary. How do you say up in Japanese? I thought it was appu? HelpfulDuo can i ask how do you put japanese letters together to make a word. Its hard to see it in my perspective, can you help me w/ it. 山=やま This is very cool and useful! Thank you! "KUMO! KUMO ga daisuki desu. Karera wa totemo airashi de kawaii desu. Watashi wa itsumo sorera no ue ni noritai mashita!" Grandpa, let's have a conversation!